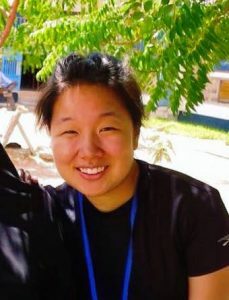 HaEun Kim is a secondary school teacher completing her Masters of Education at York University. She received her Bachelor of Arts in English/History and Bachelor of Education from York. She is currently working towards two graduate diplomas in Language Learning and Refugee and Migration Studies alongside with her Masters degree. Her research interests include language and literacy education, refugee education, border studies, and barriers that prevent access to learning in urban contexts such as inner-city Toronto as well as settings considered to be education in emergencies. HaEun worked as a Teaching Assistant for the course, “Global Issues and Education”, in the April term in Dadaab. She is currently supporting the documentation efforts of the BHER project in Toronto. Joseph Mensah is a Professor of Geography at York University. His current research interests are in globalization and culture, transnational migration, health, African development, and socio-spatial dialectics. Professor Mensah has received several competitive grants from the likes of the Social Sciences and Humanities Research Council of Canada (SSHRC), the Gates Foundation, Global Development Network, ILO, and the Commonwealth Secretariat. He has written numerous journal articles and contributed chapters to a number of books. He is the author of Black Canadians: History, Experiences, Social Conditions, published by Fernwood in 2002/2010, the editor of Understanding Economic Reforms in Africa, published by Palgrave in 2006, and the co-editor of Globalization and the Human Factor, published by Ashgate in 2004. For more on his research, visit: www.yorku.ca/jmensah. Michele Millard is the Coordinator of the Centre for Refugee Studies at York University, the Project Coordinator of the Refugee Research Network and previously the Volunteer Coordinator at the Canadian Centre for Victims of Torture. A former member of the Executive Committee at the Canadian Council for Refugees as well as of the Community Council at the Salvation Army’s Immigrant and Refugee Services, Michele is past President of the Board of Sojourn House, a refugee shelter and transitional housing unit for refugees in Toronto and is currently on the editorial board of Refugee Update, a community journal published by the FCJ Refugee Centre which is linked to the Canadian Council for Refugees. She has been volunteering for organizations providing settlement, protection and advocacy services to refugees and refugee claimants for the last 15 years. Michele holds a Master’s degree in Art History from McGill University and a Bachelor’s degree in Fine Art from the University of Toronto. 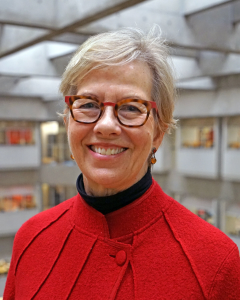 Beryl Pilkington is an Associate Professor in the School of Nursing, and Director of the BA/BSc Global Health program in the Faculty of Health at York University. Dr. Pilkington’s practice background in is in maternal-newborn and women’s health, including 5 years as a Clinical Nurse Specialist in this area. She obtained a BScN degree from the Western University, an MScN degree from the University of Toronto, and a PhD in Nursing from Loyola University Chicago (1997). In 1992, she worked as a CUSO ‘cooperant’ in south-east Nigeria in a program for women with obstetric fistulae. From 1996-1999, Beryl held the position of Nurse Researcher/Special Projects at Sunnybrook Health Sciences Centre, Toronto. Her current faculty appointment to the School of Nursing at York commenced in 1999. Research interests include community-based approaches to promoting health and well-being with marginalized communities. A study in progress is producing new knowledge to inform the creation of an education model for building health care capacity in refugee populations experiencing protracted displacement in Dadaab, Kenya. Funded by IDRC, this study is affiliated with the multi-partner, CIDA-funded project, “Borderless Higher Education for Refugees,” in Dadaab, under the auspices of York’s Centre for Refugee Studies. Wenona Giles, FRSC is a Professor Emerita, Anthropology and Resident Faculty at the Centre for Refugee Studies (CRS),York University. She is a long-time researcher who has taught and published in the areas of migration (including forced migration), refugee issues, gender, ethnicity, nationalism, work, globalization, war. Her co-edited books on forced migration include: Development and Diaspora: Gender and the Refugee Experience (Artemis, 1996); Feminists under Fire: Exchanges across War Zones (2003); with Jennifer Hyndman: Sites of Violence: Gender and Conflict Zones (2004). She co-founded and co-coordinated the Women in Conflict Zones Research Network with Maja Korac (1993-2004). She recently co-authored with Hyndman, Refugees in Extended Exile: Living on the Edge, (2017). She is working on two forthcoming books: with J. Bhabha, and F. Mahomed, A Better Future: The Role of Higher Education for Displaced and Marginalized People, 2020; and with Dippo and Orgocka, Theory and practice of borderless university education: Notes from Dadaab and Kakuma 2021.